Last updated: 6th March 2016.
http://www.foodsafesystem.com website (the “Service”) operated by Da.Re Ltd (“us”, “we”, or “our”). any part of the terms then you may not access the Service nor download the Food Safe System App. 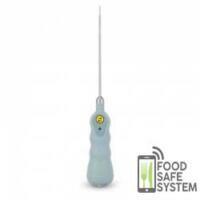 If you have already downloaded the Food Safe System App then you are required to immediately delete it from any device it is stored. Da.Re Ltd has no control over, and assumes no responsibility for, the content, privacy policies, or practices of any third party web sites or services. These Terms shall be governed and construed in accordance with the laws of England, Scotland, Northern Ireland, Wales and the Republic of Ireland. without regard to its conflict of law provisions. 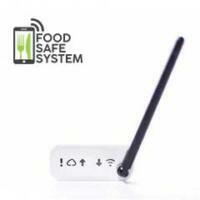 button, downloading or using Food Safe System (“Application”). by the terms and conditions of this Agreement. download or use the Application. to download, install and use the Application solely for your purposes strictly in accordance with the terms of this Agreement. 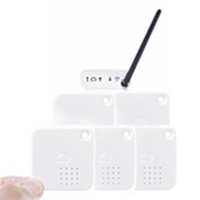 commercially exploit the Application or make the Application available to any third party. app, user can’t distribute the app. This Agreement shall remain in effect until terminated by you or Da.Re Ltd.
suspend or terminate this Agreement with or without prior notice. of the Application from your mobile device or from your desktop. possible under applicable law and the remaining provisions will continue in full force and effect. that can be used to contact or identify you. Personally identifiable information may include, but is not limited to your name (“Personal Information”). application (the “Service”) operated by Da.Re Ltd (“us”, “we”, or “our”). text, graphics, videos, or other material (“Content”). You are responsible for the accuracy and relevance of this data. Da.Re Ltd will not be held responsible for actions resulting from the misuse or inaccuracies in the collection of data by users. revision is material we will try to provide at least 30 (change this) days’ notice prior to any new terms taking effect. What constitutes a material change will be determined at our sole discretion. 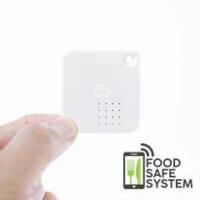 any part of the terms then you may not access the Service or download the Food Safe System App. Da.Re ltd has no control over, and assumes no responsibility for, the content, privacy policies, or practices of any third party web sites or services. You further acknowledge and agree that Da.Re ltd shall not be responsible or liable, directly or indirectly, for any damage or loss caused or alleged to be caused by or in connection with use of or reliance on any such content, goods or services available on or through any such web sites or services. These Terms shall be governed and construed in accordance with the laws of the UK and the Republic of Ireland, without regard to its conflict of law provisions. revision is material we will try to provide at least 30 days’ notice prior to any new terms taking effect. What constitutes a material change will be determined at our sole discretion.